Soheil completed a Bachelor of Psychology (Honours 1st class) and Master of Clinical Neuropsychology at Macquarie University. He is currently completing his PhD in paediatric neuropsychology at Macquarie University and the Children’s Hospital at Westmead investigating the long-term neurocognitive and neurological outcomes of paediatric liver transplant recipients. Soheil has worked as a psychologist at Sydney Children’s Hospital Randwick and the Children’s Hospital at Westmead working with a range of neurological conditions including acquired brain injury, epilepsy, brain tumours, neurogenetic disorders, neurodevelopmental disorders, and other complex conditions. He has also worked as part of a learning difficulties clinic supporting children with reading/literacy, numeracy, and attention problems. 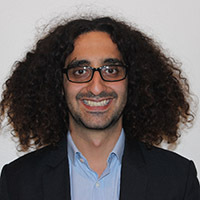 In addition, Soheil currently works as a school psychologist for the NSW Department of Education supporting children with psychological and emotional needs, as well as their learning and academic development. He is particularly passionate about working with children in the early years of primary school to identify any obstacles impeding their learning and foundational academic skills so that they can have the best start to their schooling. Prior to becoming a psychologist, Soheil worked in disability support for 6 years helping children and adults with intellectual disabilities. He also teaches at Macquarie University and has conducted research in cognitive neuroscience.